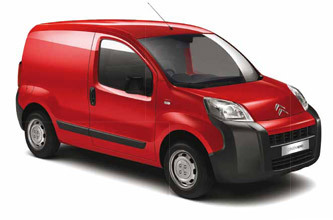 Citroën nemo combines the best of both worlds to bring you big business benefits. Plenty of power with low emissions. Bundles of room in a compact space. Big van toughness with small car agility. Whether it’s scooting around the city or cruising up the motorway, lugging bricks or delivering a bunch of flowers, Citroën Nemo injects plenty of pleasure into work. As the latest member of the award-winning Citroën van range, you know you can count on top-class reliability, economy and back-up too.